Competing streetcar elections would have voters approve a southern streetcar extension, stop any forward motion on streetcar expansion efforts, or approve a tax hike to build a robust streetcar system. How each of these questions interact is complicated. In the coming days, Kansas City will find out whether a small group of voters approved a special taxing district for a southern streetcar extension. Right now, the streetcar starts at the City Market and runs about two miles south. Whether the streetcar goes any farther, in part, lies in the hands of 5,752 Kansas City residents. That’s about how many people requested ballots to vote in the mail-in election. To qualify, they had to live within a boundary about a quarter mile from a proposed streetcar line that would take the streetcar from downtown south to the University of Missouri-Kansas City. People who live in this special district, or TDD, would have to pay additional property taxes to help fund the extension. But any tax hike is still a long ways away. Residents in that district would have to vote two more times before construction would even start. In the meantime, the entire city will have the opportunity to weigh in on two other streetcar questions Tuesday. How all these ballot measures interact, however, is a little confusing. Sherry DeJanes is with the group SMART KC, which opposes streetcar expansion. The group is also behind Question 1 on the ballot next week. Kansas City attorney Sherry DeJanes is with a group that put Question 1 on the August 8 ballot. “It asks people to require the city to put any further expenditures on streetcar expansion to a citywide vote before they make those expenditures,” DeJanes says. Question 1 would keep the city from planning for any construction or buying any land related to the streetcar. It also sticks the city with penalty of $1,000 a day for noncompliance, although DeJanes says that part is severable. DeJanes says reason for the measure is to prevent a waste of city money. “In the 2013-2014 time frame when they were pushing the 3 pronged expansion, the city spent millions and millions of our money and then put it to a ballot box vote and we voted 'no' resoundingly,” DeJanes says. Technically, Question 1 and the mail-in election are unrelated, but they do affect each other. Here’s one scenario: Question 1 passes — requiring a citywide vote for further streetcar work — but the group of several thousand voters approve the special taxing district. David Johnson, chairman of the Kansas City Regional Transit Alliance, says the passing of Question 1 alone would not affect the streetcar extension election. And city officials would probably push back on the measure. “Well, probably there will immediately be a lawsuit. And, or the city will wait the requisite amount of time and repeal our ordinance,” DeJanes says. And if that happens, DeJanes and her allies would likely file their own suit. A second scenario leads to a political fight. The voters near the proposed line approve the tax district and citywide voters reject Question 1. DeJanes and her group — SMART KC — plan to keep fighting streetcar expansion, focusing on the other two votes in the taxation district needed to move forward. “We will redouble our efforts to defeat the funding. If there is no funding at the local level, there will be no funding at the state or federal level,” DeJanes says. And no matter what happens on Question 1, if the mail-in TDD fails, then the southern extension, forgive the expression, stops dead in its tracks. As if things weren't complicated enough, there is yet another streetcar-related question on Tuesday’s ballot — Question 2. Virginia-based light-rail activist Clay Chastain is proposing two sales taxes, totaling 3/8th of a cent. Scant on details, his plan would go farther than a single streetcar extension and would include multiple streetcar lines and maybe a fleet of electric busses, crisscrossing the city. DeJanes and others calling for a citywide vote on streetcar extension oppose Question 2. But Johnson, who is leading extension efforts, has a different take. “We think that Question 2 would cancel out Question 1," Johnson says. So he’s urging people to consider voting “yes” on Question 2. His take? A vote “yes” on Question 2, is essentially a citywide vote on the streetcar. 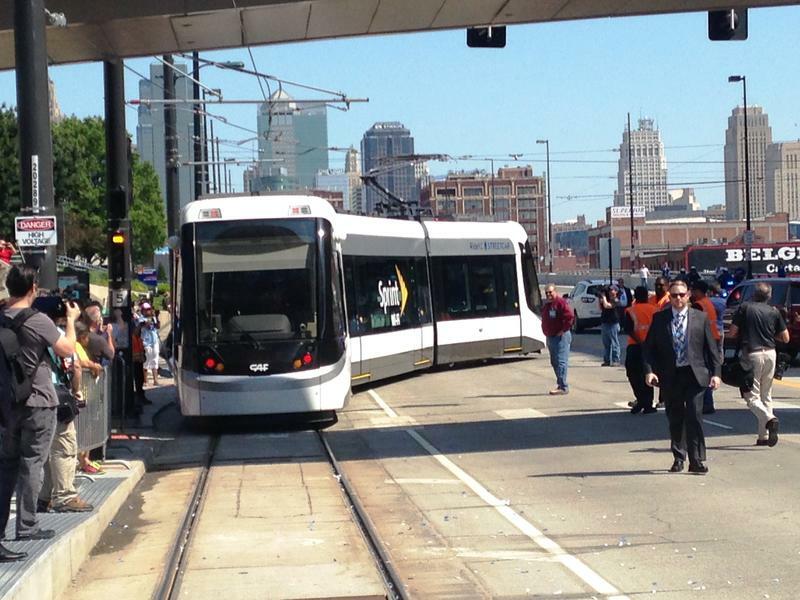 So whatever happens on Tuesday, the streetcar conversation is far from over in Kansas City — as legal and political fights are pretty much guaranteed. 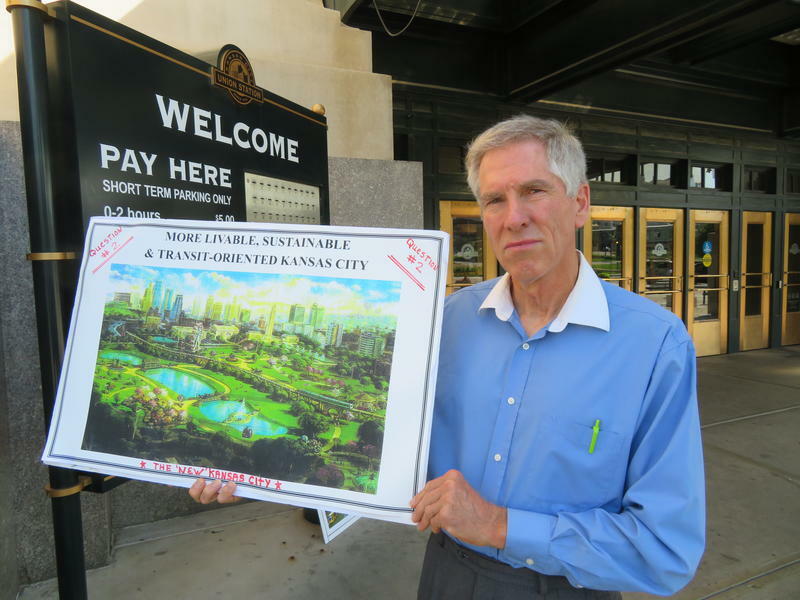 Longtime Kansas City transit activist Clay Chastain on Friday launched another campaign for a ballot initiative to create what he called an all-electric, "state-of-the-art transit system." 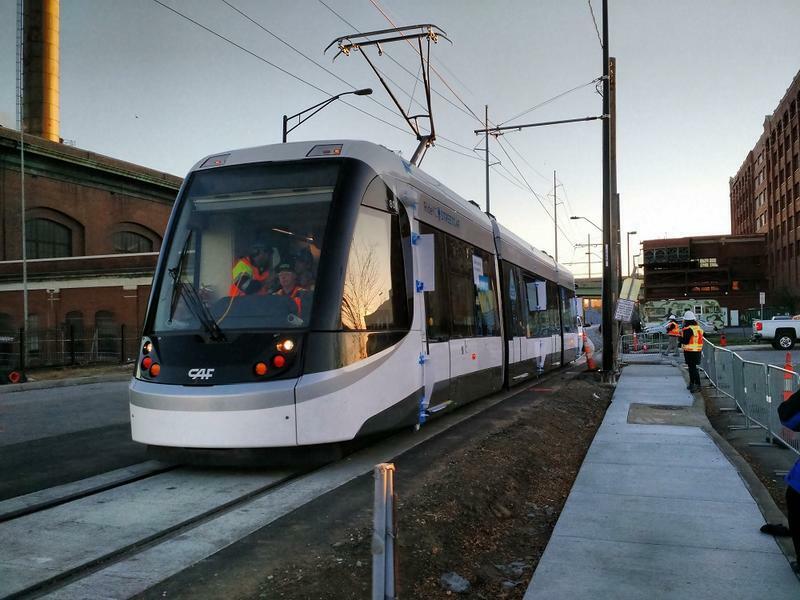 The 2.2 mile Kansas City Streetcar route from Union Station to the River Market opened just over a year ago. To date, the line has completed just over 2 million trips with an average of 5,860 riders a day in 2016. And now they're looking into expansion options to the south — and the north.